Hi all, I hope you are having a good Christmastime with friends and family. I have had this kit sitting for a while waiting to get the outer wing panels properly set to finish the kit. 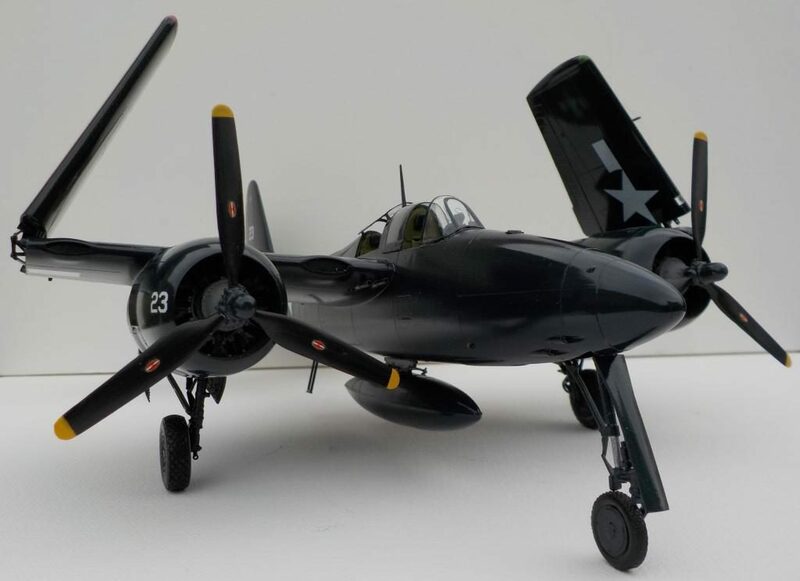 It is the AMT 1/48 F7F-2N. 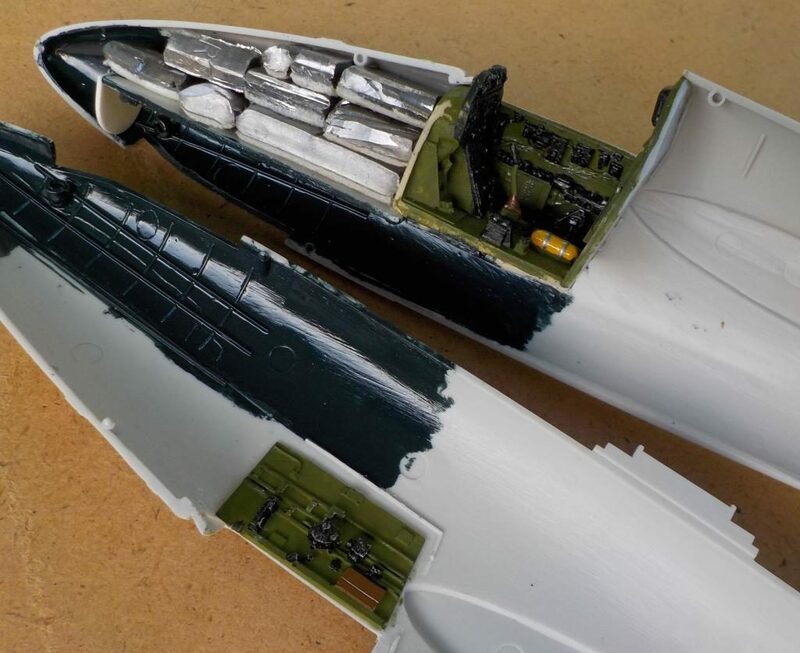 I made use of Obscureco replacement Hamilton standard props to fix the kit blades which are backwards- a feature still present in the Italeri re-box of these molds. 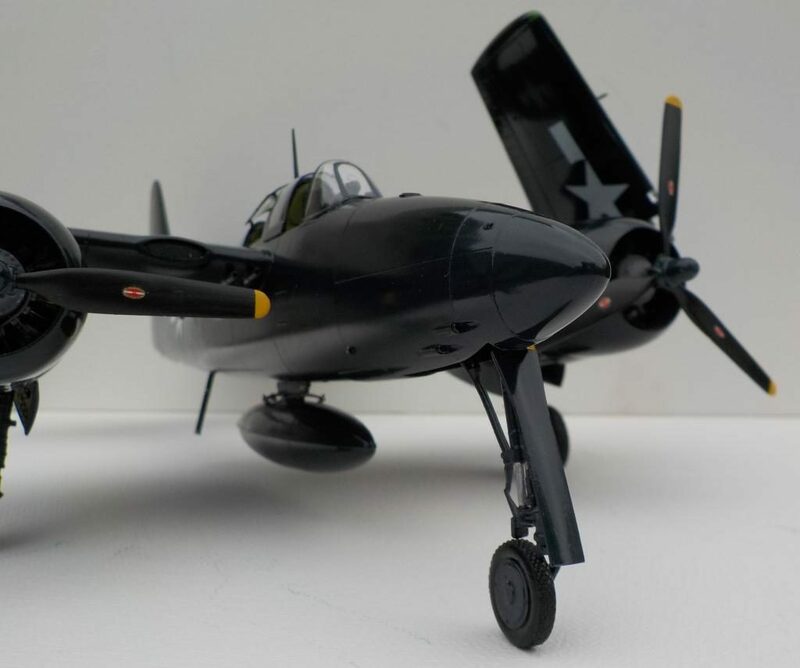 I also used HiTech resin parts- the F7F-2N/3 cockpit and F7F-2N radar operator’s cockpit. HiTech is a French company- I do not think these sets are still available, but they are really good by my estimation. 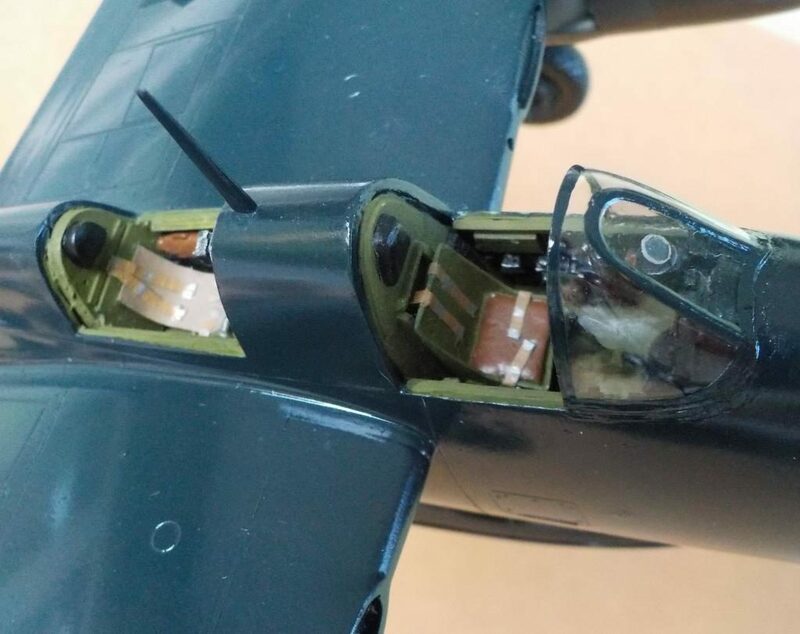 There is even a satchel featured in the radar operator’s cockpit that was used to house the shroud (I attached it to the main panel) for the radar scope when not in use! 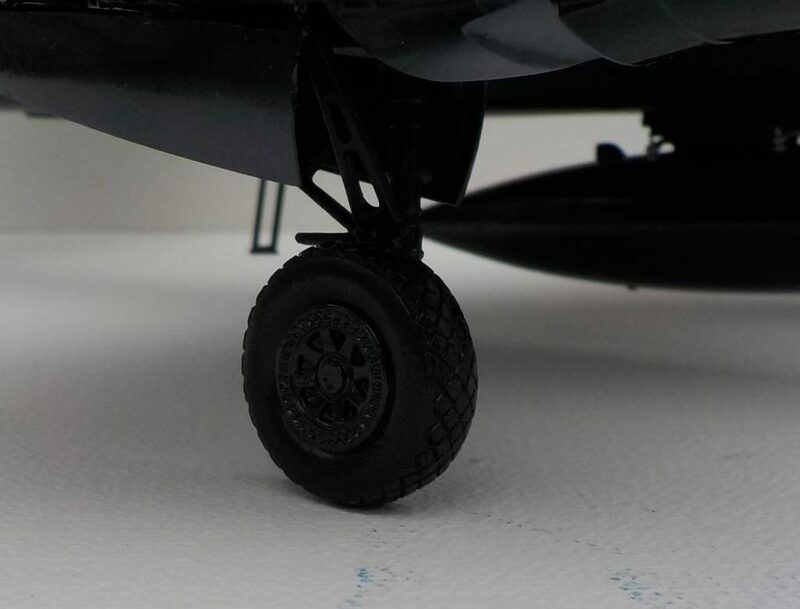 I made resin casts of the kit plastic and rubber mainwheel parts- as I had heard that the AMT vinyl tires could react with the kit plastic (one of my kits did- the 3 others did not) and “melt” the plastic hubs. I believe that the Italeri re-box now has injected plastic tires in place of the AMT vinyl tires. 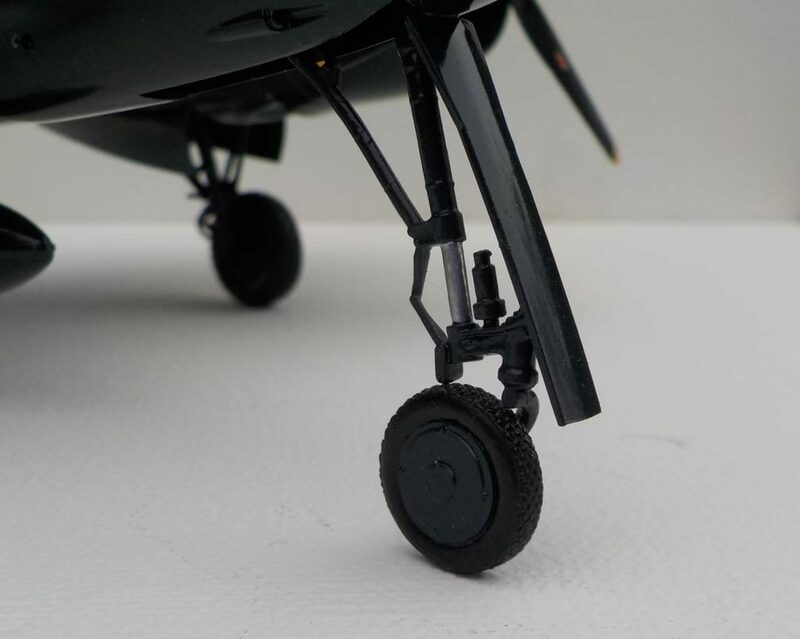 I also made use of the old Cutting Edge cast metal nose gear leg- it gives a stronger support to the forward end of the airframe as you have to add so much weight in the nose. 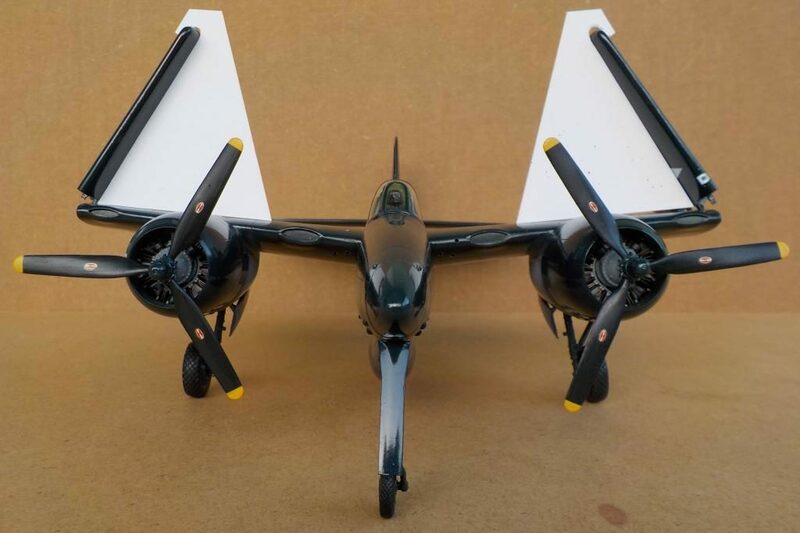 Lastly, the Cutting Edge wingfold set- I know that there is now one for the 1/48 F7F produced by Wolfpack. As you can see in the photos, I crammed as much weight in the nose cone as I could, and I boxed in the nose gear well. 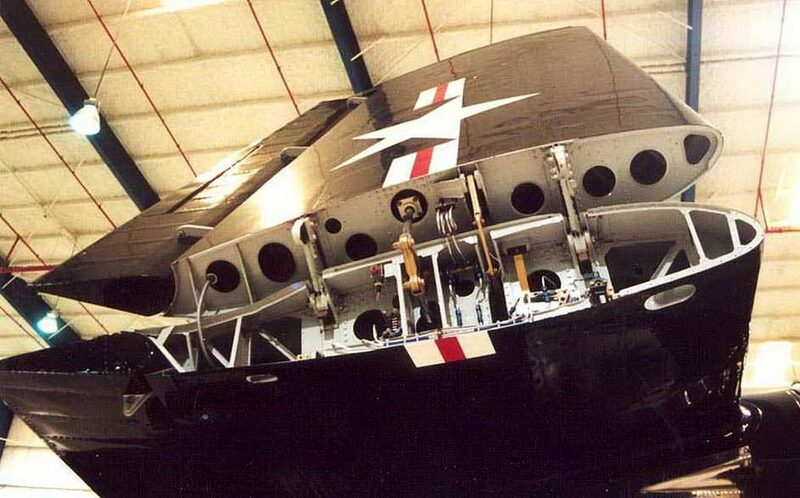 I did a lot of searching on the internet as well as using my own photos of an F7F at Duxford years ago to get the angle of the folded wings correct. I can say that the diagrams in the squadron in action book are suspect at best. I am confident I have done my best to get them right! I made jigs from my research out of stiff paper and they worked quite well to hold the wings steady until the super glue set up. 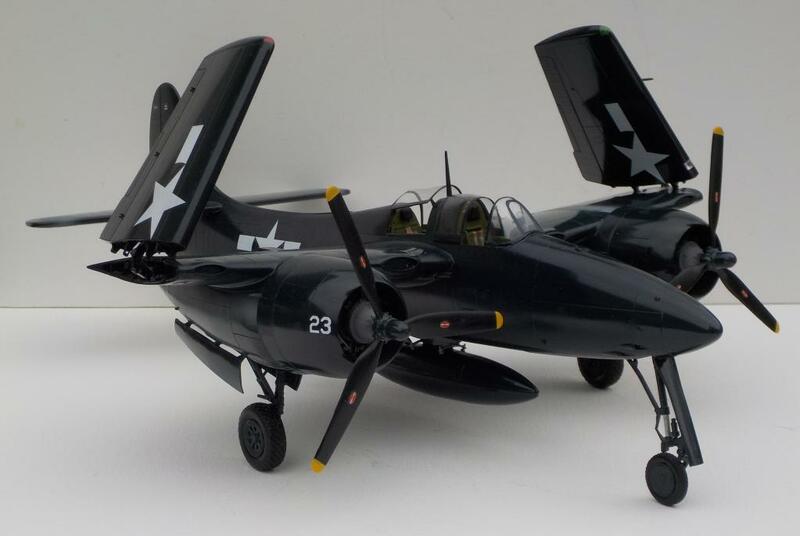 I used the Squadron F7F-3N vac canopy set for this kit. 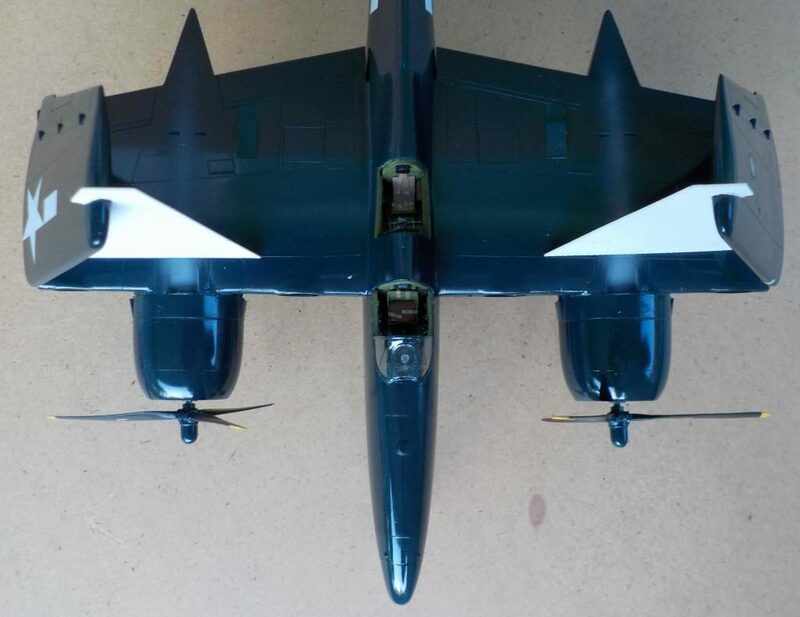 I used a photo of the F7F-3N rear canopy in the Squadron in action on the F7F to set the angle of the radar operator’s canopy. I wired the engines- hard to see once they are in the cowls! 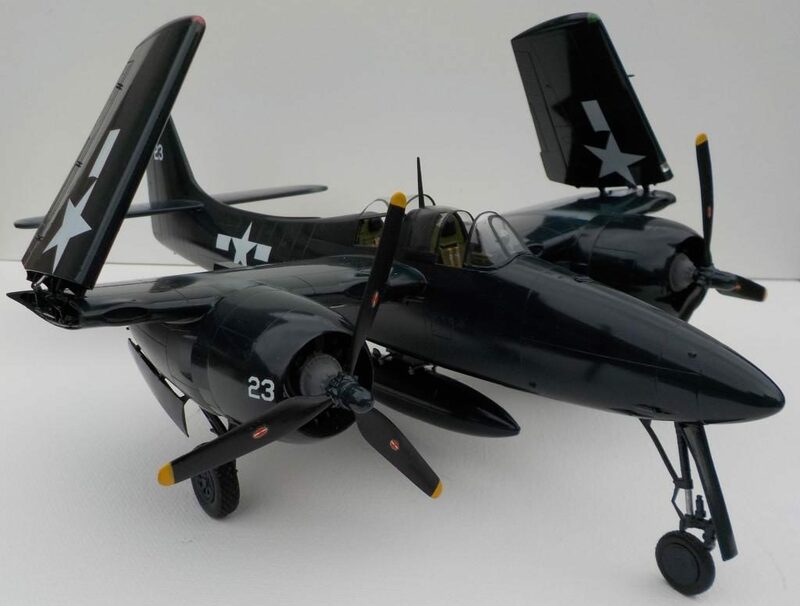 I had to use aftermarket decals (Aeromaster) for the aircraft number (23) as the AMT decals were incorrect in size and placement- I used the picture of an F7F-2N in the Squadron book to get them right- it is the airframe that AMT chose to feature in their kit. I hope you enjoyed seeing this build and i hope it will help others trying to set the angles for the outer folded wing panels. 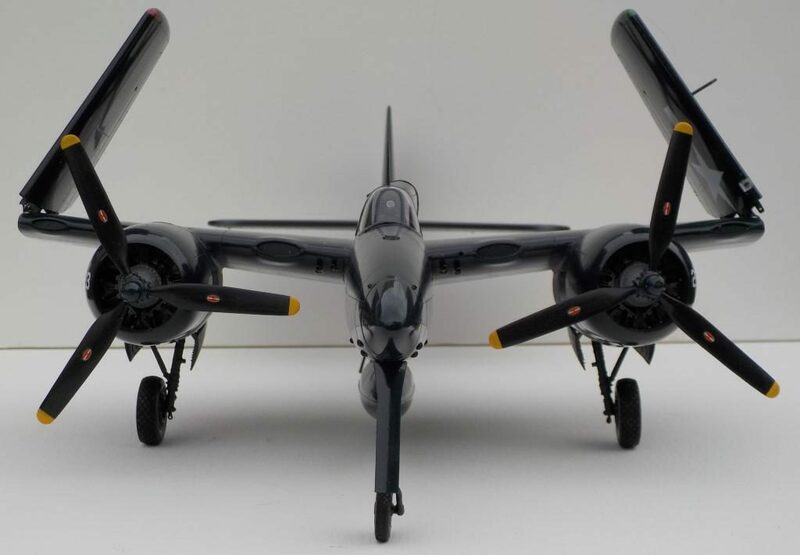 The next F7F I do will be an F7F-3P, using the Italeri kit decals (thanks to a helpful and generous fellow modeller) and one of my AMT kits with folded wings again! Hopefully it will not take “a while” to do, but I need to scribe the photo doors in the right places before I attach the wing stubs and move ahead! I hope you all have a Happy 2017! 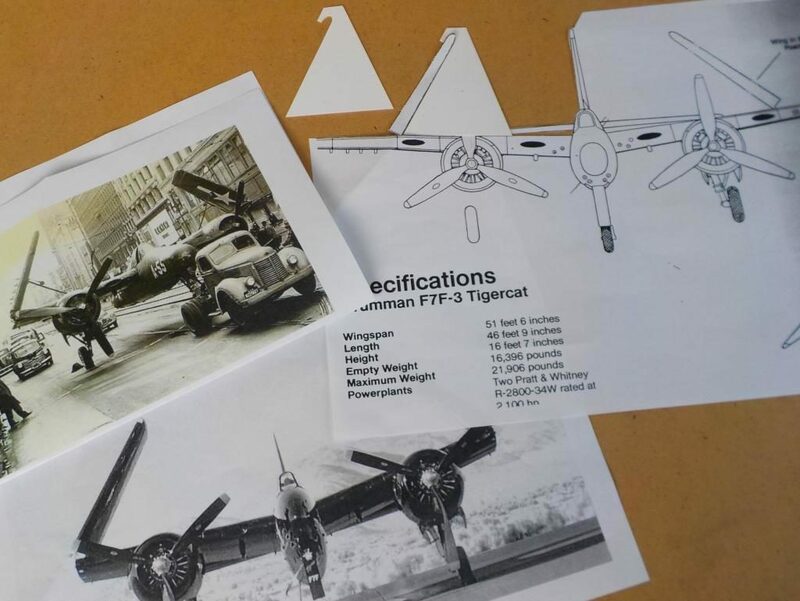 Fantastic work on your Tigercat, Dan! I have this kit in the stash, along with the Cutting Edge wingfolds and the HiTech resin interior you used. When I get around to building it, I hope mine turns out just half as well as yours. Thanks VERY much Drew I am grateful for the kind comment on my build. While the HiTech resin is a bit odd (a little gummy) the detail is good, and once painted- not gummy anymore. I am looking forward to my 3P, but I also have a 3N in the pipeline. I will do it with extended wings. Now that right there is one fine lookin’ ‘Cat, sir…..well done indeed! Very creative way of getting that wing-fold angle ‘correct’. Love that finish! We may just see this one again next month (wink,wink). Hey Craig, Thanks very much! Appreciated! Great job Dan, I wish I had thought of that jig idea when I built mine using the Cutting Edge set a couple of years ago. 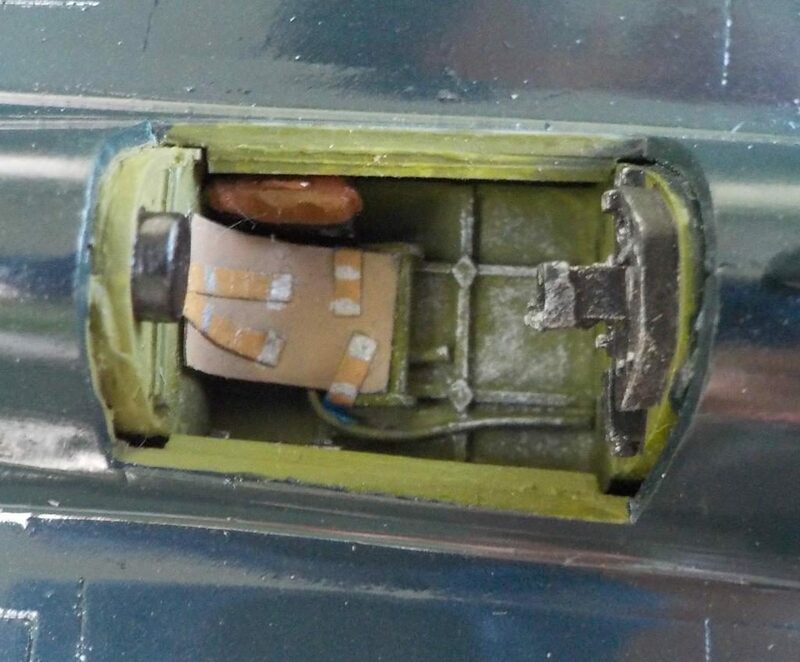 If I remember right I just used a piece of sprue propped against the fuselage to hold them up as the Super Glue set, and so far they are still in place. I did mine in a USMC black scheme. Also used the CE metal nose gear. It was a fun build. You can see it here on Imodeler. Thanks for sharing, nice to another with the wing fold. Your build was one of the ones I looked at while trying to sort the wing fold angle issue. I hope to get my 3P going during October break, and my 3N going over summer- no folds on that though. Looks great, Dan, very neat work on what looks like a “difficult” kit. Thanks George! I enjoyed getting it to the stage that i could post on Imodeller! Have a great New Year. Fantastic job with the Cat. 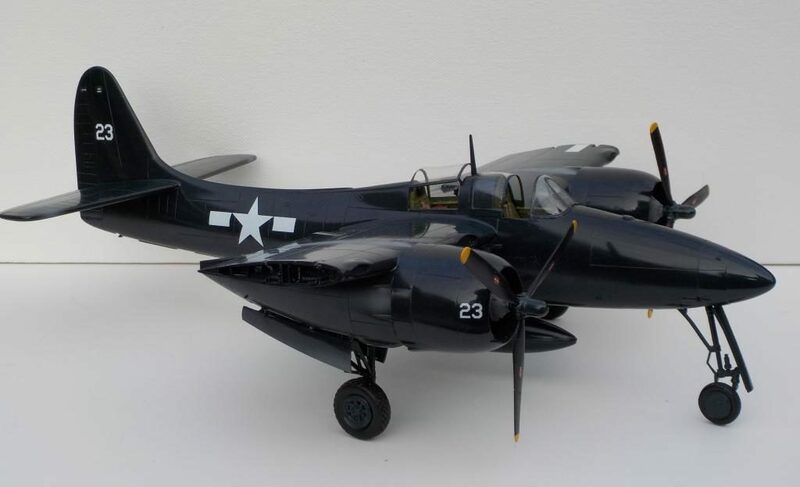 It really looks great especially the GSB finish and the folded wings. Thanks for sharing this masterpiece with us. Really cool idea using the wingfold jig. I’ll keep this in mind when I get around to building another one. Thanks Louis, I appreciate the encouragement. I hope to post some more soon as I work to clear my pile of partial build kits. You do the same buddy. Take care Dan. Excellent work Dan! Very nice and pristine finish to the kit. Thanks Greg! I am looking forward to the 3P and 3N coming up. The 3P is now stalled due to wiring two engines again, and cutting out the correct camera window locations! 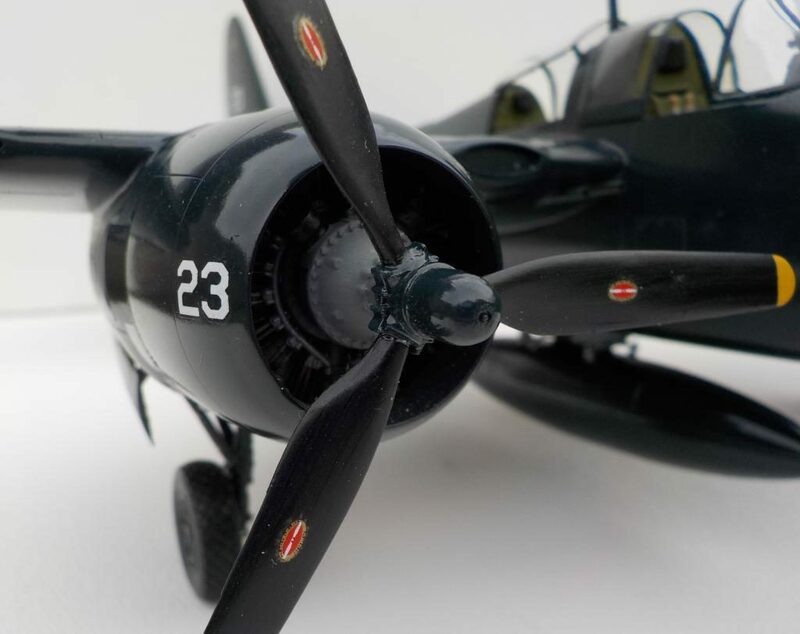 Thanks Robert- I regret letting my 1/72 Monogram F7F go a while back…. but you can’t build everything! Even though I seem to try all the time! Very kind of you Gary- I am so glad it is done! Very nice work. I like the wingfold. One small thing (not a complaint, just info). The Squadron canopy is the “firebomber canopy”. 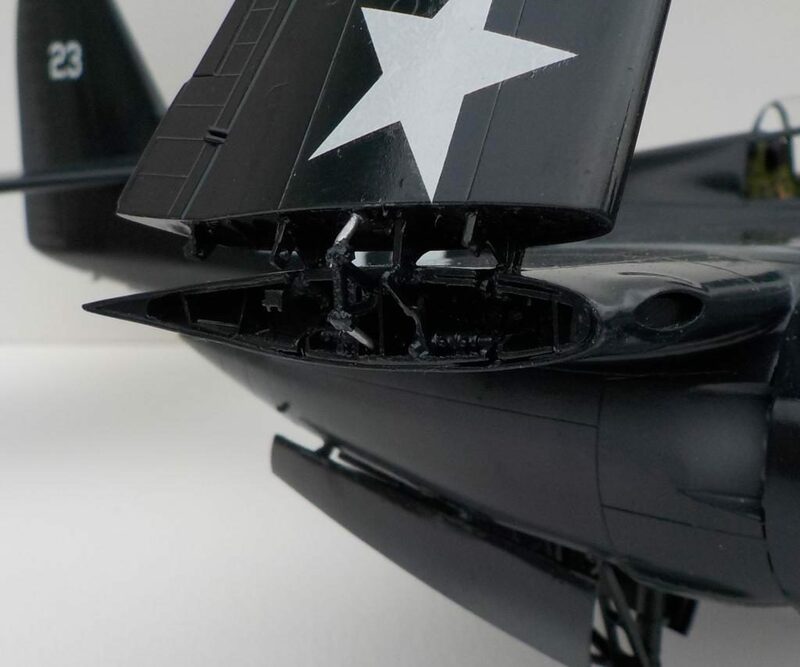 The original F7F canopy is very narrow, and maintains the lines of the fuselage aft of the cockpit. 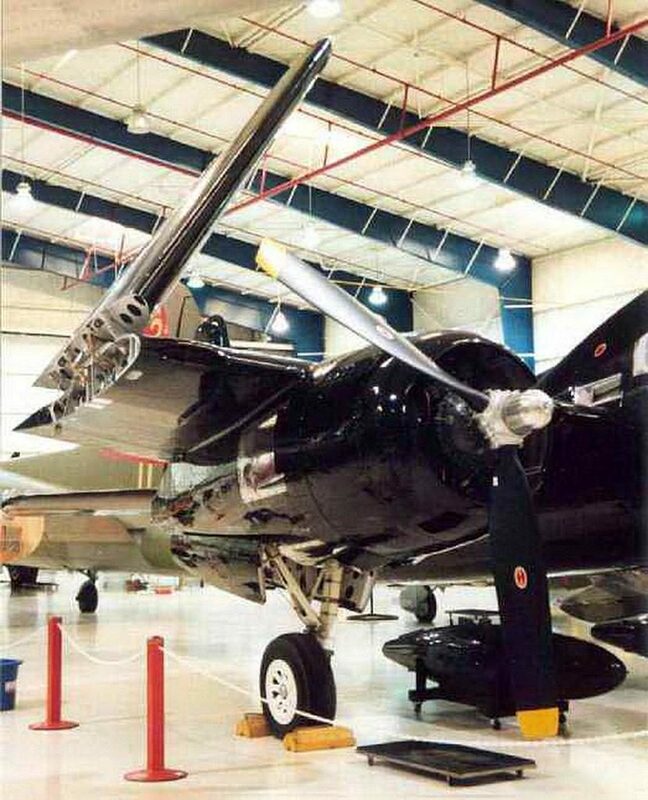 This limited the pilot’s vision since his head was in close quarters.. 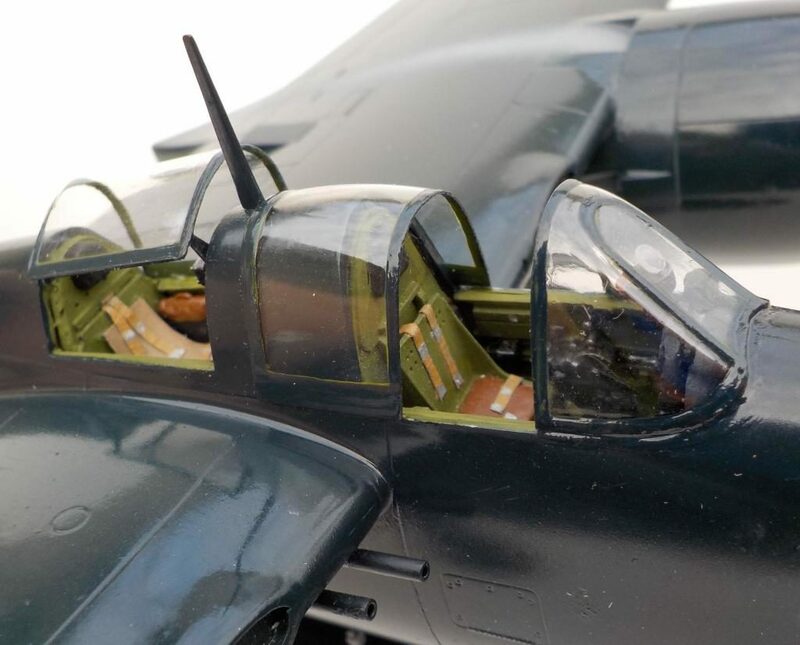 The firebombers made the new canopy with the widened windscreen and forward area of the sliding glas to improve pilot vision, but all the night fighters in service had the old windscreen/canopy. Trust Squadron to go with the fact all surviving F7Fs are ex-firebombers, which is why they have that canopy. Hey Tom- sorry for taking so long to reply to your post. Only after reading it, did I remember reading about that anomaly with the Squadron Vac canopy sets a long, long time ago. I just got hold of some good vac clear sheet so might use the kit canopy to make a better replacement- did AMT get the width right?